Rug or mat hooking is a time-honoured tradition from the early days of our grandmothers when winter was long and people were isolated, resources were few, and nothing went to waste. The original method of hooking is still used today, a simple metal hook with a wooden handle, a piece of backing, a wooden frame and strips of fabric or yarn is all you need to start your adventure. 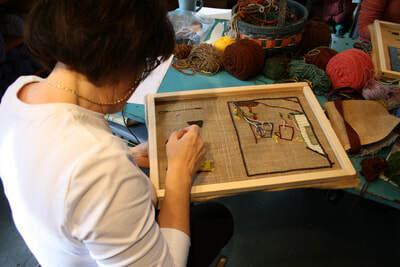 To many, mat hooking awakens memories of a four-sided hand-made wooden frame set up on four kitchen chairs, of hand cutting strips from old clothing to hook into a mat for the floors in hallways or parlours. Many rug hookers create a varity of articles such as wall hangings, pictorial, ornaments, stair runners, in addition to rugs of many shapes and styles. Some are hooked from patterns pre printed on backings, but many, as in the past, are hand drawn designs. 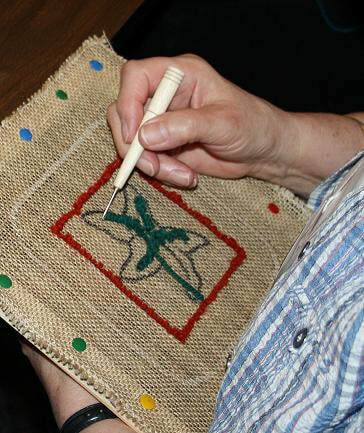 Rug hooking and creativity is a beautiful blend that is very satisfying. The cost can be as little or as great as you wish to invest. It is equally suited to both the young and the old. The basics are simple to master and you are limited only to your imagination. 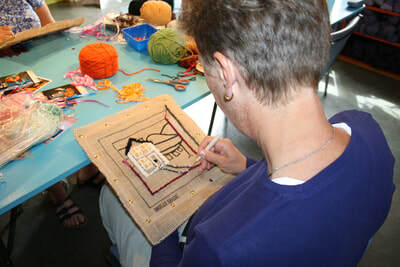 This is a one day introductory rug hooking class where you will learn the necessary techniques to create your own hooked rug. All materials will be provided to complete the project. Register for one of the days listed below on our website or call 709 453 2538. Payment is required at the time of registration. This is a three day creative stitch rug hooking class where you will learn 10 new creative stitches to add to your basic rug hooking skills. Must have beginner rug hooking experience. Register for this class on our website or call 709 453 2538. Payment is required at the time of registration.